Dr. Wong has been in practice in Hong Kong since 1998. In 2010, he was also called to the Bar of the British Virgin Islands. In 2013, Dr. Wong was appointed as a Senior Counsel in Hong Kong. He is also presently an Non-Executive Director of the Securities and Futures Committee and one of the Vice Chairmen of the Board of Review of the Inland Revenue. Dr. Wong’s practice covers a wide spectrum of contentious commercial litigation. He has a special focus and substantial experience in the areas of company, insolvency and securities law. He frequently represents clients in contentious shareholders and/or investors disputes and disputes in liquidation. He is the first Hong Kong barrister to be admit, on ad hoc basis, in the Bermudian courts to conduct trials and appeals. He is experienced in offshore litigation. He also acted as an expert witness on HK company law in the People’s Republic of China, and international arbitration. Dr. Wong also sits as an arbitrator in international commercial arbitration. Dr. Wong also specializes in contentious trusts and probate matters. His case of Chow Siu Po v. Wong Ming Fung  1 HKC 146 establishes the burden of proof in propounding a will. He has also given legal opinion on various trust and probate matters. He was instructed to advise and work on a number of substantial trusts litigation and related matters. On non-contentious work, Dr. Wong specializes in corporate restructuring and capital reduction. He was involved in the capital reduction of CLP, Guangdong Investment and Hong Kong Construction. He was also involved in the PCCW privatization, the Denway Motors privatization, the Stone Group privatization, the Sunlife Insurance Transfer Scheme and the 3D Gold Scheme. Academically, Dr. Wong graduated from the Business Faculty of the Chinese University of Hong Kong in 1994 as the Rhodes Scholar of the year. In 1996, he obtained his degree in Jurisprudence from Wadham College, Oxford. In 2004, he also obtained his LL.M degree from the Peking University. In 2012, he was awarded the Doctoral Degree from the Peking University with a dissertation on corporate insolvency laws. 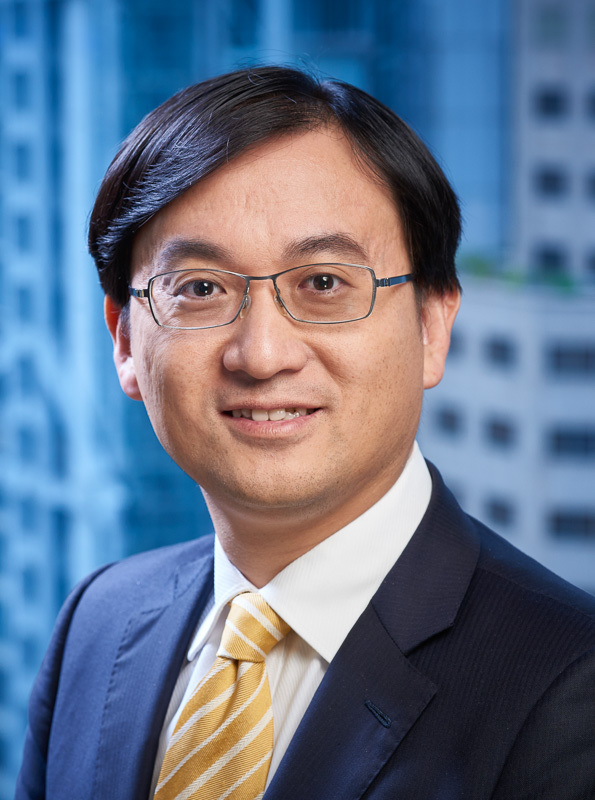 Dr. Wong also serves on a number of special sub-committees of the Hong Kong Bar Council. He is the Chairman of the China Practice Development Committee. He is the Vice Chairman of the Committee on Overseas Lawyers Examination and the Committee of Mainland Affairs. He is also an advisor to the Middle Temple Society in Hong Kong. Dr. Wong has also published widely. He was one of the editors of Hong Kong Civil Procedure 2001 and Hong Kong Civil Procedure 2002. He also published together with Dato Loh Siew Cheang, one of the leading Hong Kong texts on company law: “Company Law – Powers andAccountability.” (2003) The book was translated into Chinese in 2005 - «公司法 – 權力與責任», 法律出版社. He subsequently co-authored "Company Law - Powers and Accountability" 2nd Edition with Dato Loh Siew Cheang and DVC's Kerby Lau in 2017. Re China Medical Technologies, Inc.  2 HKLRD 997 - A leading case on the jurisdictional limits of lexi fori in a cross-border insolvency situation. Mo Ying v. Brillex Development Limited and Another  3 HKLRD 224 – a leading case on the applicable legal principle of common intention constructive trust. Re Tan Sri Datuk Lau Gek Pok alias Lau Gek Poh  5 HKLRD 75 – a leading case on DNA test in a probate context. Hallmark Cards Incorporated v Yun Choy Ltd (in Compulsory Liquidation) and Another  1 HKLRD 396 – a case on the priority of trusts claims in an insolvency regime. Top One International (China) Property Group Co Ltd and Another v. Top One Property Group Ltd and Others  1 HKLRD 606 – commercial disputes involving the legal principles on unless order and extension of time under the new CJR rules. Leading case on shareholders’ right to vote in an insolvency situation. Hang Fung Jewellery Company Limited  2 HKLRD 1. It establishes the retention of property right via a trust mechanism in the case of an insolvency. It sets out the legal principles for the sanction of a scheme of arrangement and the problem with split voting. It first establishes the availability of multi-derivative action in Hong Kong and the relevant applicable legal principles. It establishes and applies the principles of resulting trust in the context of a repossession action by a mortgagee. For a more complete list of cases in which Mr William Wong S.C. appeared as counsel, please visit the Judiciary Website at http://legalref.judiciary.gov.hk/lrs/common/ju/judgment.jsp; where you can access the list by using the advanced search function.